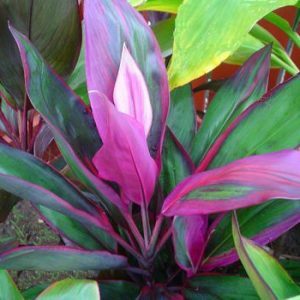 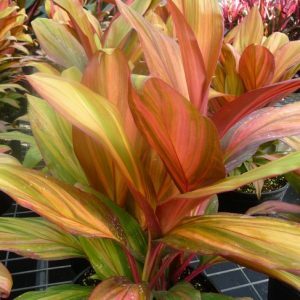 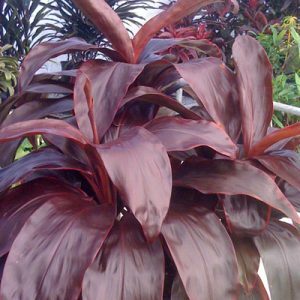 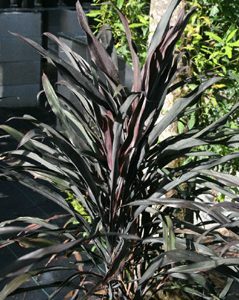 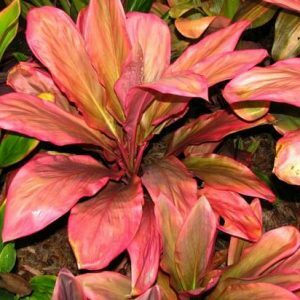 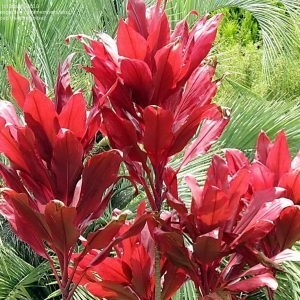 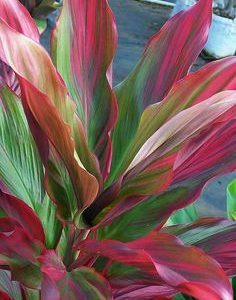 Cordylines are known to the tropical world by many names and are crowned as “King of the tropical foliage. 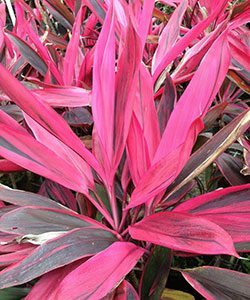 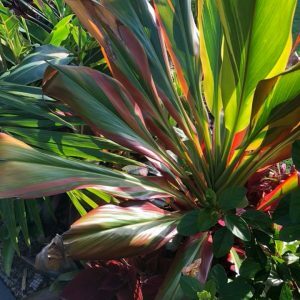 With a vast and rampant range of colors and sizes, it is reaching high popularity among gardeners, landscapers and collectors alike. 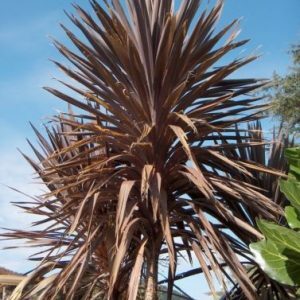 Ti’s as they are called in Hawaii have always been part of Hawaii where the roots and canes are fermented and made into a potent drink. 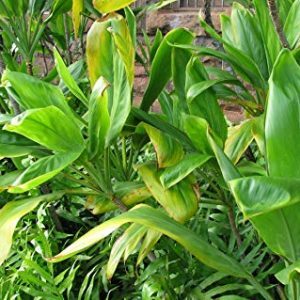 Ti leaves are also used in wrapping of foods and offering to the gods. 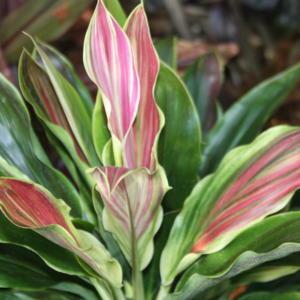 They are also used in hula as adornments, skirts, haku’s, leis and much more. 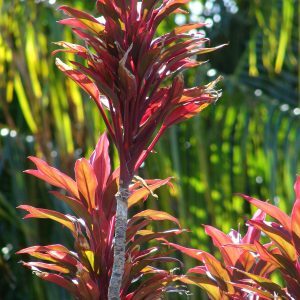 With the cross pollination and new introductions it’s almost an never ending possibility. 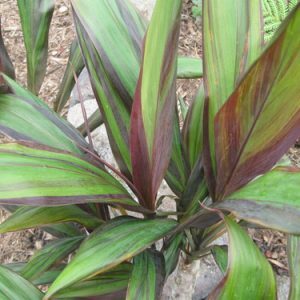 Ti’s are very easy to grow, growing in partial sun they will look there best, however with higher humidity some can take full sun. 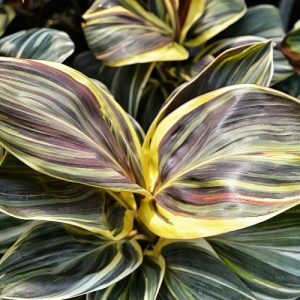 Usually the variegated forms will prefer partial sun to shadier areas of the garden. 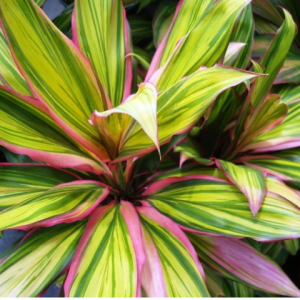 They are easy to grow as container plants or in low light situations indoors.